We’re half-way through winter and I’m already looking towards spring. 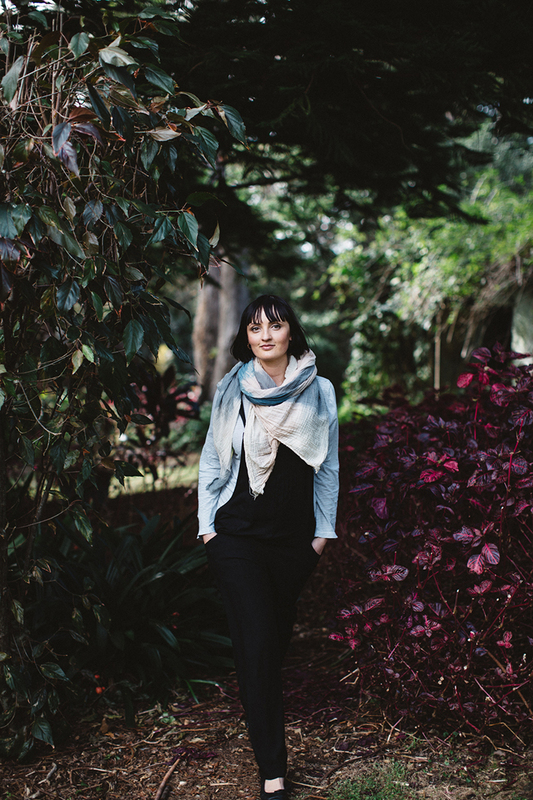 Granted, our winter isn’t exactly freezing – it’s cold enough for a scarf and a knit – but there’s still sun most days to warm me up and more often than not I can get away with a single layer up top. I stepped in front of the camera late last week to capture a few of Fabrik’s latest designs. I’ve been wearing the Everyday Romper a few times each week with a simple long-sleeve tee, a peasant blouse or a fine knit underneath. I’ve always been tempted to buy overalls but I’ve never found a pair that really worked. But these ones are perfect – comfortable and flattering – and I’ll keep them on high rotation right through spring, too. The straps are easily adjustable so no matter your height you can play with the length. If you’re pregnant I think they’d be a great winter option and, of course, they’re ideal for breastfeeding mums. See them on a new mum here, a gorgeous mum-of-four here and worn with a knit, here – they’re also available in Khaki + Washed Denim. I’ll always choose a skirt over pants but finding a practical and beautiful winter skirt isn’t an easy feat. When Fabrik’s designer, Sarah, showed me this Khaki Skirt I was sold. Made from brushed cotton drill, it’s feminine and light but it also has a lovely structure. I’ve been wearing it with boots but again, it will work just as well in spring with sandals. Perhaps what I love most about it is the flattering waistline; it really supports the belly without digging in. 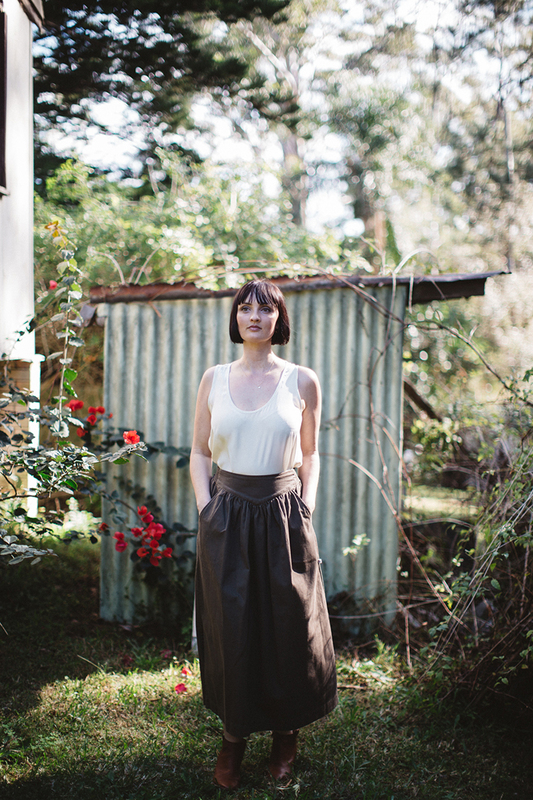 I’m wearing the Khaki Skirt with the Silk Trapeze Tank – again, a flattering design that doesn’t cut too low under the arm (my pet hate) and its A-line silhouette means it’s a perfect shape to wear with pants. I’m not usually one to wear silk but since Daniel and I are making a point of going out to dinner more frequently, a dressier option was required. Finally, I’m wearing the Chambray Skirt with the Elliot Blouse; a cotton voile design with beautiful lace inserts near the cuff. Indeed, it’s a little bit prairie and a little bit Woodstock – pretty enough for a date night and just as good with a big knit cardi over the top. Fancy adding a piece or two to your winter wardrobe? Enter code PS10 at checkout to get 10% off storewide. And a little note on sizing: Fabrik’s sizing is generous (I’m a size 10 and wear Fabrik size 1). This is a sponsored post, thanks so much for supporting the brands that so generously support me. Beautiful! That skirt looks great on you. It's not a style or length I would ever have thought to wear but you really pull it off nicely. Also that romper is super cute, wish I wasn't so tall or I might have snapped one up myself. I agree it is very nice to see you on this side of the frame. These pieces look so amazingly good on you. Seriously! That skirt is really quite amazing. Thanks for sharing, as always.